PRAYER GROUP The Prayer Group meets on Wednesday 2nd March at 10.00am in the small hall. PASTORAL CARE TEAM If you need some help either at home or to go to an appointment, get in touch either with your elder or the coordinator, Janette Steele (01349 861591) and we can try to be of assistance. We do need time to make arrangements so let us know in plenty of time, please. LADIES BIBLE STUDY “Welcoming the Way of the Cross” by Barbara Mosse is leading us through our Lenten Pilgrimage. 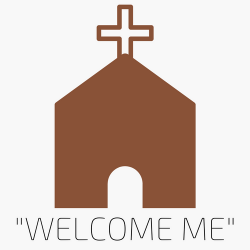 This week we will be looking at “Oases of welcome” and look forward to where this will take us on our journey. Please try to come along on Wednesday 2nd March at 1.30pm for approximately one hour. HOLY COMMUNION Next Sunday 6th March, we celebrate the Sacrament of Holy Communion in our morning worship at 11.00am. There will be no evening service that evening. The Kirk Session are asked to meet in the small hall at 10.45am prior to worship. RIVER CAFÉ The next River Cafe takes place in the Church Hall on Wednesday 9th March 2016 from 2pm-3.30pm. Why not drop in for a cup of tea or coffee, home bakes and the all important chat? Whether you have joined us before, or not, we look forward to welcoming you there. CONGREGATIONAL BOARD AND KIRK SESSION The Board and Session will meet on Wednesday 2nd March in the Church hall. Please note the change of date – and apologies for the short notice. The Board will meet at 7.00pm and the Session immediately thereafter. Copies of minutes and agendas are available and those electing to receive them via email will have them by now. FERINTOSH FOCUS The next edition of the Ferintosh Focus newsletter will be out in the middle of March. Article should be with the editorial team by Friday 4th March. WORLD DAY OF PRAYER 4th MARCH This year’s World day of Prayer falls on Friday 4th March. The Order of Service has been prepared by Christian women of Cuba. St James’s Episcopal Church, Dingwall are hosting a service at 7.30pm on that day, to which this congregation is warmly invited. There is a request for two ladies to read a short dialogue as part of the service. If anyone is able to do this, please phone Janet Winchester (01349 865308) by Tuesday 1st March at the latest. If anyone requires or could offer transport, please also contact Janet Winchester. Lunchtime Soup Fellowship The final soup lunch of the winter, hosted by the Guild, will take place in the Church Hall at noon on Friday 4th March. The worship will be led by Andrew Morrison and Irene Munro will take us on a tour of Tiree in words and pictures. Do try to come along and enjoy each others company. See you there! GUILD The next meeting of the Guild will take place on Monday March 7th at 7.30pm in the Church Hall. We look forward to paying a visit to the Faroe Islands with the expert help of Elizabeth Blackburn and her pictures. Do come along. You don’t have to be a Guild member if you’d just like to see a part of the world not many of us have been able to go to. We’d love to see members and visitors alike to enjoy the show and fellowship together. Members are reminded we have an invitation from Castle Street Guild to Afternoon Tea on Wednesday 9th March at 2.30pm. Please let Guild Team know if plan to attend.